Home Entertainment Trippy Bananas Chilling At Soho…What The? Introducing...the Happy Banana Smile Campaign, Hong Kong's bizarre answer to the ALS Ice Bucket Challenge. 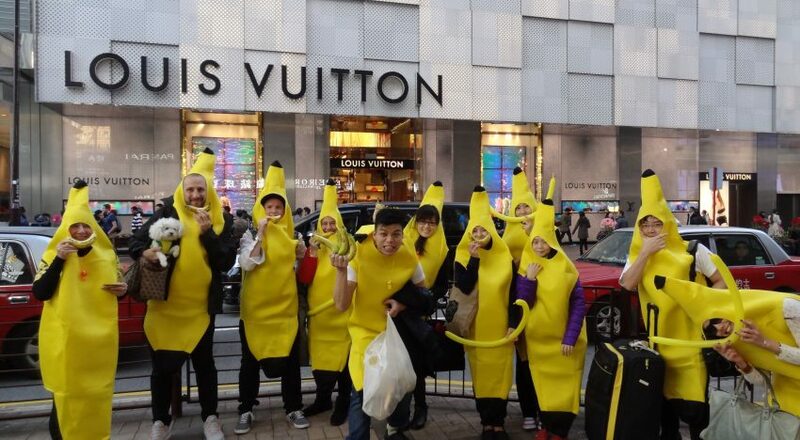 If you were anywhere near Tsim Sha Tsui and Soho last Saturday afternoon / night, you may have come across a group of hyperactive bananas roaming the streets of Hong Kong. 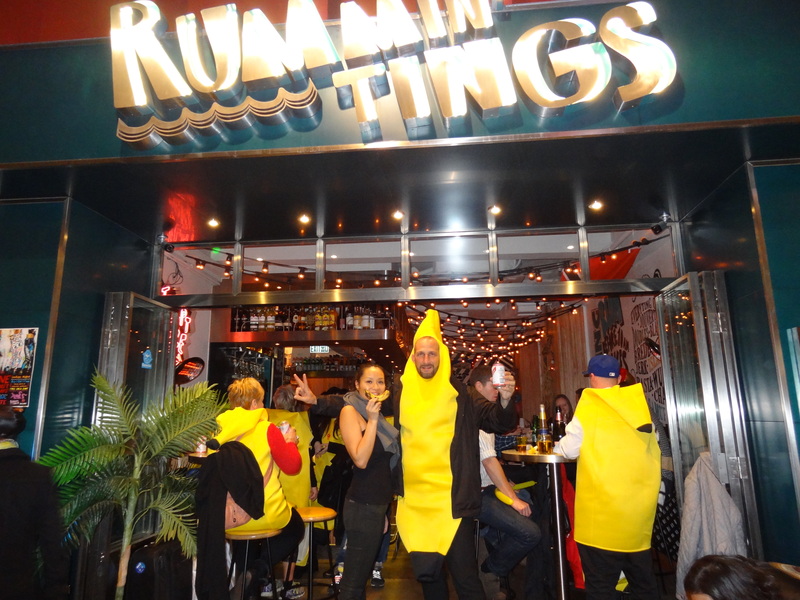 While the natural assumption to draw upon witnessing such a scene would be that a birthday, costume party and lots of alcohol was involved, the group was actually there as part of the Happy Banana Smile Campaign. Participants of the Happy Banana Parade, the first of a series of campaign events to come, made their way across Hong Kong in flashy banana costumes, starting from Kowloon Park, then ferry-ing across Victoria Harbour to end their trek at Soho. 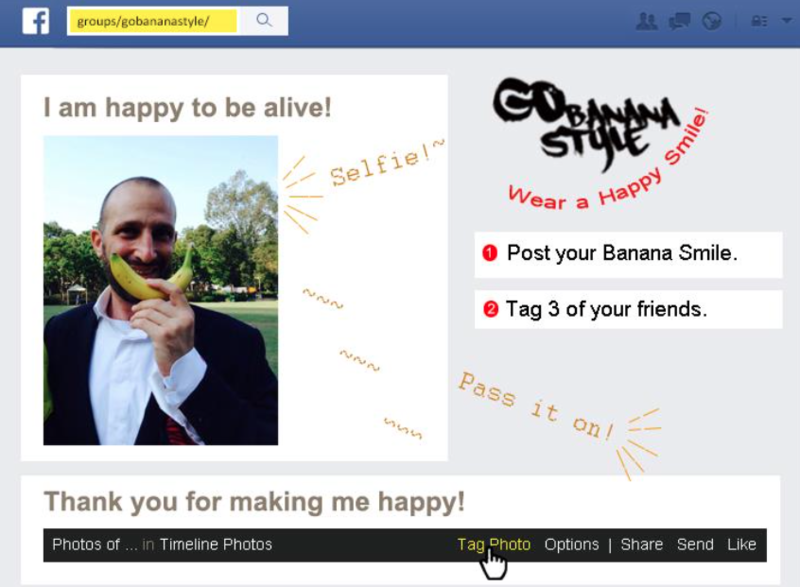 Initiated by Gal Orian, a motivational writer, artist and international advisor on creative education, the Happy Banana Smile Campaign hopes to promote the ideas of “happiness” and “giving”. Participants are asked to upload their wackiest selfies while “smiling” behind a banana to Facebook and challenging their friends to do the same. Organizers hope to draw on the success of the ALS Ice Bucket Challenge, and recreate it’s virality, while raising funds for the World Cancer Research Fund Hong Kong (WCRF HK). 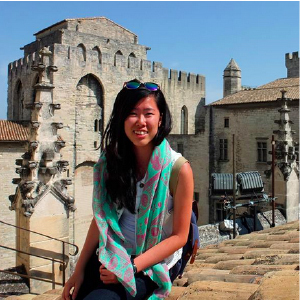 “This event is a non-traditional approach that will bring smiles to all,” explains Gal. 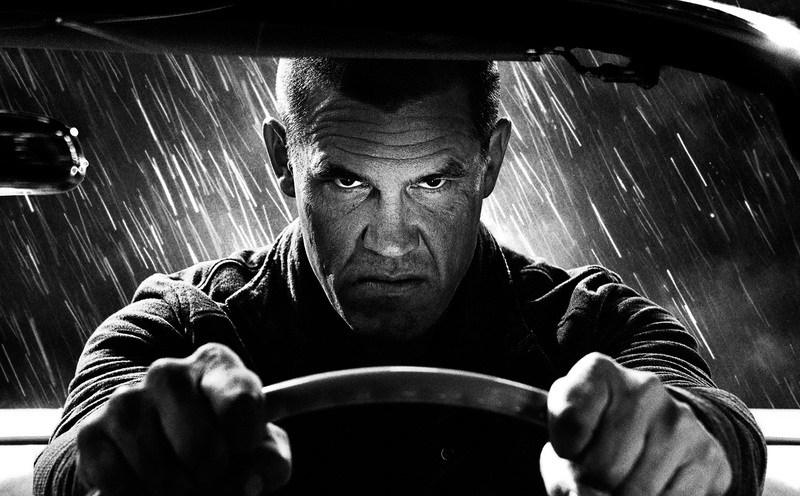 Phase 2 of the campaign is set to involve a treasure hunt happening from mid-February to March. Details, however, have yet to be announced. You can check out their Facebook group for updates. We’re not quite sure if the campaign will be as big of a hit as the ALS Ice Bucket Challenge, but some hilariously bizarre selfies are bound to be taken at some point, and we’re always down for that.